Amino AcidsTrec L-Arginine Xtreme - 120 kaps. Trec L-Arginine Xtreme - 120 kaps. Each bodybuilder regardless of whether a pro or an amateur who knows that feeling extreme muscle pumps wants to accompany him each successive workout - nothing in fact not motivated to train hard as she. In certain circumstances, the body is not able to meet your expectations. However, there is a way to ensure that a sense of invincibility - enough appropriately selected supplementation . The best choice would be TREC L-ARGININE XTREME , the composition and quality of the substance used is at the highest level. It is a modern preparation, which was created specially for you and other people who are physically active. 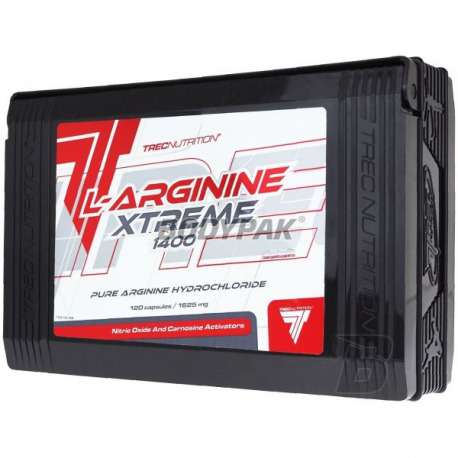 TREC L-ARGININE XTREME is a top-quality formulation containing L-arginine in a highly bioavailable form . This amino acid not only builds the structure of the protein, as well as an intermediate in the biosynthesis of molecules involved in important metabolic pathways. L-arginine is a precursor of nitric oxide (NO), creatine, ornithine and agmantyny. 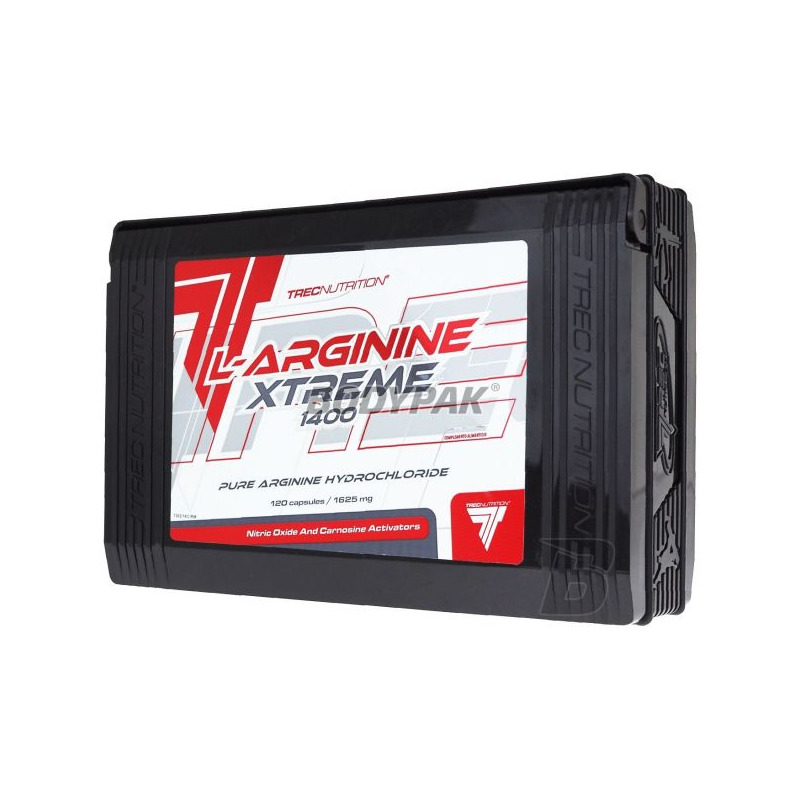 L-ARGININE XTREME makes it easy to supplement your daily diet with L-arginine. TREC L-ARGININE XTREME to maximize gains in lean muscle mass and enhances the regenerative processes. Although it is a supplement having a big impact on muscle pump can also affect other aspects: nutrition muscle definition and quality of the muscles. TREC L-aRGININE XTREME is the only product of its kind with such a high content of arginine. The serving of the product - 2 capsules used 2 times a day. The preparation drink 300 ml of water. serving 30 min. before the workout, the second serving immediately after training. serving 30 min. before the first meal, II serving at bedtime. Content: 4 caps. 2 caps. Takiej pompy na treningu jeszcze nie odczułem nigdy, super sprawa ! Świetna pompa na treningu! 4 kapsułki w zupełności wystarczają. Amix Tryptophan - 90 kaps. Pure, top-quality l-tryptophan in the form of capsules. Each serving is as much as 1000mg of this extremely important amino acid! Helps to calm down and relax after a stressful day, has a positive effect on your well-being. Health is the most important! Trec BCAA G-Force - 90 kaps. Hydrolyzed amino acids in the form of a practical shot! They do not require prior preparation - after shaking are ready for immediate consumption! Generous proportions of amino acids, including the BCAA! The first of this type of formula on the market! Perfectly balanced amino acids, so titrated doses to provide maximum support regeneration and rises high quality muscle mass! Do not let something you limited, use the latest vision of professional supplementation and enjoy the results achieved.